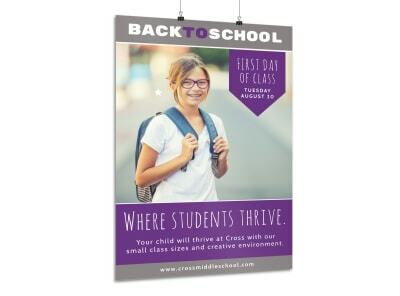 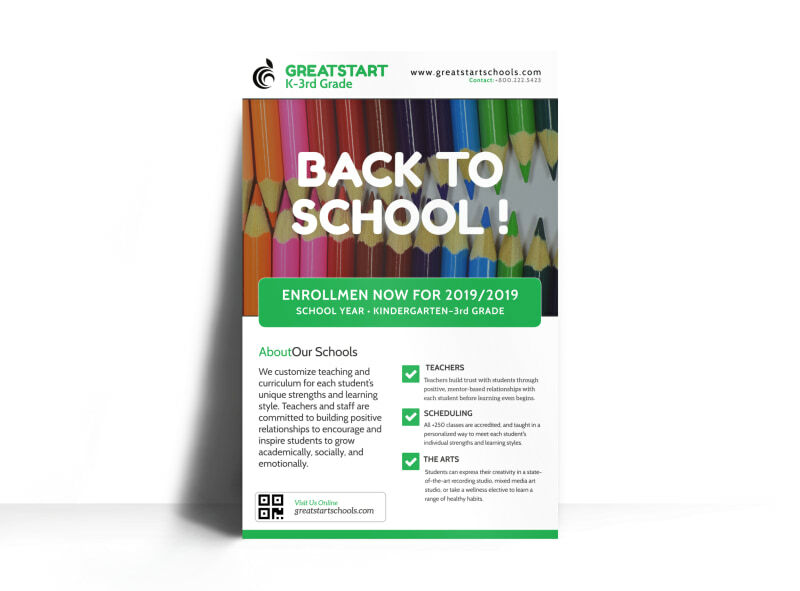 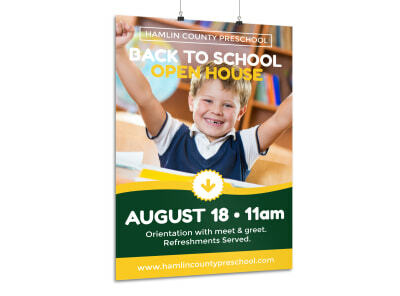 Customize our Back To School Enrollment Poster Template and more! 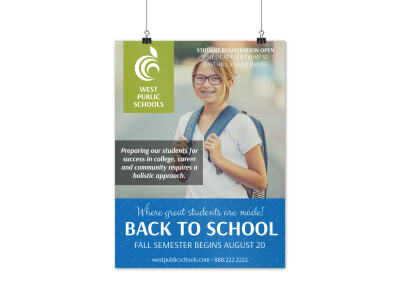 Remind parents that the time is at hand to enroll their little ones in school with this back to school poster. 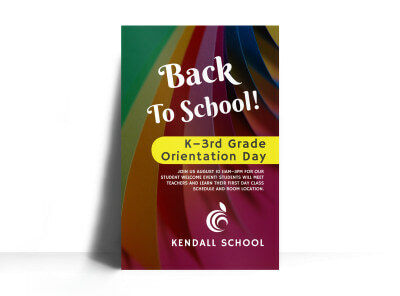 Use our online editor to customize it with your school’s colors and mascot, and insert important dates and other info so parents will be sure to enroll their kiddos on time. 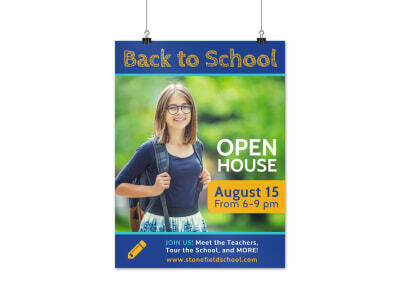 Send your design to our expert printers for a professionally printed product that is sure to catch the eye of all who behold it.